Given the high number of Florida residents who are aged 65 and older—including many who already reside in nursing homes and assisted-living facilities—it is particularly important to think about elder wellness and safety. According to a recent article in the Miami Herald, the state of Florida appears to have changed the content of some of its public records, in a sense “scrubbing its website” of nursing home neglect complaints and penalties. The problem is not that records of nursing home neglect and abuse violations have been destroyed. Anyone can seek to obtain records like these from Florida’s Agency for Health Care Administration (AHCA). However, this is a complicated process, and many families who are looking for quality care for a loved one simply do not know that they have this option. And even if they do know this option is available, actually obtaining the documents can be difficult and time consuming. What type of information, specifically, did AHCA used to provide for free to the public on its website? For quite some time, consumers could go onto the AHCA website and find detailed information about nursing home inspections, as well as inspections of retirement homes and hospitals in the state. They were easy to locate on the website, and they provided clear information to Floridians about incidents of elder abuse, neglect, and other related injuries. However, the “scrubbing” of the website began with redactions to these documents. Specifically, AHCA started eliminating words such as “room”, “CPR”, “bruises” and “pain”—and rendering the inspections difficult to interpret for families trying to gauge whether a facility is suitable for a loved one. 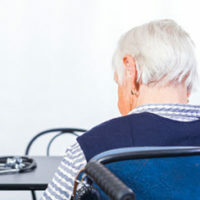 While AHCA indicated that the redactions were designed to protect patient privacy, elder safety advocates have voiced concerns about the agency’s aims given the types of redactions occurring. Soon after the redactions started, the AHCA website changed. Most notably, all nursing home inspections reports, as we mentioned, were no longer available. While the state does provide comparative spreadsheets on nursing homes for Florida consumers, it no longer provides via the AHCA website the type of data that can help families locate a facility in which their loved ones are less likely to become victims of nursing home negligence. If you have questions about filing an elder abuse claim, Lesser Lesser Landy & Smith’s Partner Joseph Landy is a highly experienced nursing home neglect lawyer in West Palm Beach who ranked as one of the Top 10 Nursing Home Trial Lawyers for the State of Florida.